The boys are getting so smart! Nolan’s sentences have gotten really elaborate, and some of his thoughts are incredibly imaginative and funny! He will occasionally break into “Super Nolan” mode. He will shout, “Super Nolan to the rescue!”, raise his arms, and run around the room. When he does this, he gives us a running commentary of everything he’s doing, and refers to us as Super Mommy and Super Daddy. And when that boy gets an idea in his head—he is bound and determined for the rest of the day to get what he wants. As for Ephraim, he has started to sign “more” when he is ready for the next bite! And if he does something that makes me laugh, he will do it over and over again, watch for my reaction, and then laugh with me. It’s precious! My favorite face! He puffs up his cheeks and blows air. It’s absolutely darling, and makes me laugh! I had the pleasure of meeting one of my favorite bloggers on Saturday! I won a giveaway on Kacia’s blog, Coconut Robot, to attend a day conference for moms. I had lunch with Kacia (and her adorable two-month-old Jones), and she could not have been sweeter! There has been major work going on in our kitchen! I mentioned that we are a little obsessed with the show “Rehab Addict”. A couple of times this week, I headed out to the store or out to lunch with friends, and I came home to see pieces of the kitchen gone. As if Steve doesn’t have enough work to do :) Our kitchen is from the 50’s—and I was pretty happy to see the scalloped wood pieces taken down. He tore out the drop ceiling above all the cabinets. He also took out a couple of shelves, the accordion doors of the pantry, and a panel above the fridge. It looks awesome, but there is disgusting peeling paint that needs to be dealt with soon! We also lost a big chunk of the wall on Wednesday afternoon, haha. I made a couple of free printables this week. Feel free to right-click and save them to your computer. I typically have them printed on cardstock at Staples, and they turn out really nice for my walls. 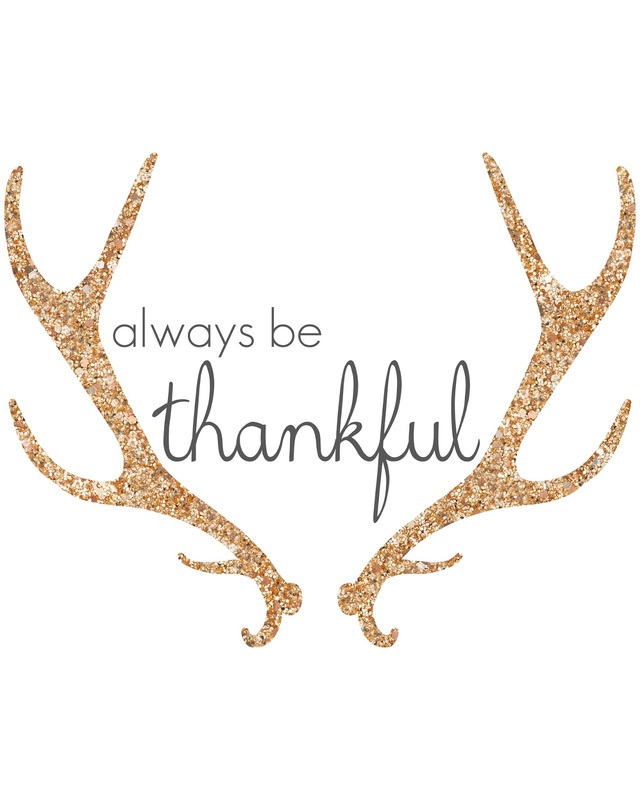 I needed a little Thanksgiving reminder for this week! This one I had posted before, but tweaked it a little bit since then. It hangs next to our back door, as a reminder to be Jesus-like in our actions as we interact with people outside the house. 0 peppers—they never came up! Thanks for stopping by today. Hope your weekend is full of relaxation and hot chocolate! Thank you for the fun printables!! Love it. I just made a printable for my readers for today, too. Great minds think alike :) Have a relaxing weekend. You have such a green thumb! Congrats on the flourishing first garden! And those printables are so lovely! Can't wait to see the progress of your kitchen!! So exciting! And can't wait to grab these printables...love! Oh my word, your little guy in the high chair, making that face is *too* cute! :-) And I love the printables and what you did with them! It is so fun to see our little learn and develop! That is awesome that you won that giveaway and met Kacia! And remodels are always fun afterwards, but during is never fun. Have a great weekend Rachel! 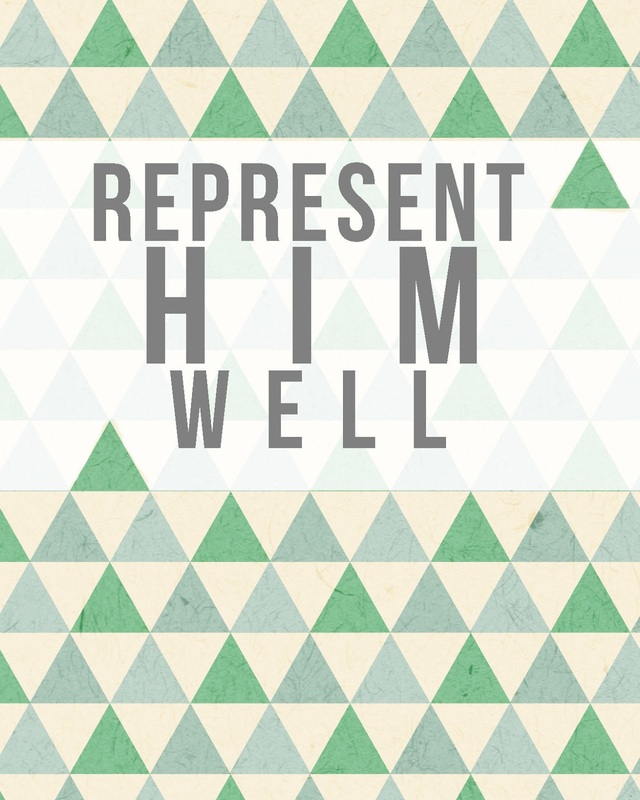 How cute is that "Represent Him well" print?! And the boys are as cute as ever. Those printables are adorable! Thank you for sharing! And your kiddos are so cute! I, also, like that show "Rehab Addict." That's exciting that some renovations are happening in your kitchen. :) Happy Friday!! Your boys are precious! Good luck with the updates on your kitchen!